Do you enjoy celebrating the holiday season? Do you take the time to decorate your office for the holidays? 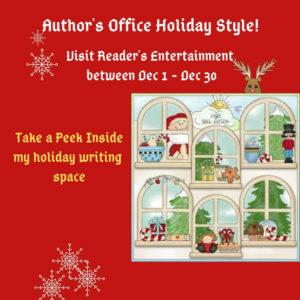 Find out what your favorite authors and I are doing in our offices this season at Reader’s Entertainment. Published December 1 on The Big Thrill Magazine. Click here to read the entire interview. Numbers. As I began writing the novel, I was aware of the size of the pharmaceutical industry. I was also aware that the United States consumer offset industry costs that are regulated by other countries. What surprised me were the sheer numbers of how much the US offset was, and the exponential increase in consumer spending on pharmaceuticals in the past 25 years. I would like the reader to see beyond the entertainment and fun thrill-ride of action to see the deeper message about how much our country’s leadership, and thus our laws and overall agenda, are not only directly affected by the monetary donations of special interest groups, but also how those laws or lack of laws directly affect individual American consumers. 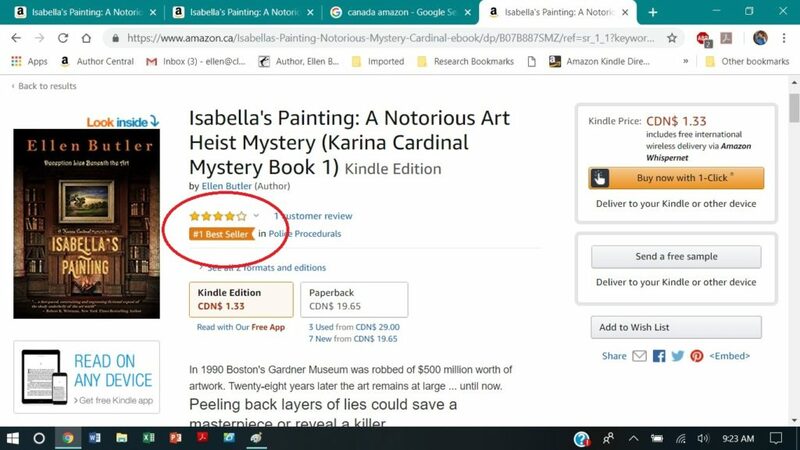 I would have to say, writing this particular Karina Cardinal novel, that Tom Clancy, Dan Brown, and Janet Evanovich were distinct influences. “Senator Harper,” I called out. The doors closed behind me, and the elevator operator, an elderly African-American man dressed in the requisite navy-blue blazer and striped tie uniform, pressed the button that would take us to the basement. “Did you have a nice weekend, Arnold?” Harper asked the elevator operator. “She’s a sophomore this year?” The senator’s wheezing breaths filled the small car. The elevator spit us out not far from the entrance to the underground passageways connecting the Capitol to the Russell, Dirksen and Hart Senate office buildings. For an overweight man in his early seventies, he walked at a relatively brisk pace, and my sensible heels clacked against the aged russet stone flooring. Fortunately, my height provided an advantage when walking with taller men and I could easily replicate their stride. Either he preferred not to talk over my noisy heels or his own pace was too much for him, because he slackened his gait. The heavy breathing continued, and I was relieved he slowed us down. “You want to know why I voted against the bill,” he stated. “I don’t understand. You voted for it in committee, and on the Senate floor the first time. 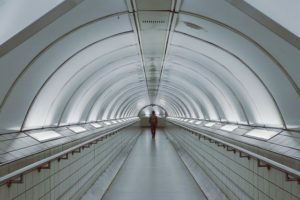 Why?” We exited the drab putty-colored walls of the Capitol basement to enter the bright white halls of the tunnel system. “Negotiating?” He gave a dark laugh. “Is that what you call it? By the time it came to a vote on the Senate floor, there was so much pork added to it you could wrap the White House up in bacon and deep fat fry it like a Thanksgiving turkey.” He indicated for me to proceed him down the short escalator. One of the trams that carried passengers through the tunnel to the Russell building cruised around the curve and out of sight. The other tram sat empty with an OUT OF ORDER sign on its side. I squinted at Harper. Beads of sweat covered his upper lip and his coloring seemed to have paled. “Are you sure you don’t want to wait for the tram?” I asked. They didn’t, but I wasn’t about to let him get away that easily. I gave him an arch glare. Harper had been in the Senate for over twenty-five years and was considered the leader of the few moderate republicans—a dying breed—left in the Legislature. Gloria Tottengott, Stephen Goldman, and Rhonda Tucker tended to stick together on votes, and often followed Harper’s lead. “You’ll know when I’m good and ready for you to know. You lobbyists are all the same. Couldn’t keep a secret if your life depended on it, and right now I’m working the back channels. I decided it’s time to call in some chips . . . maybe all of them.” His breath came out in pants and he stumbled. “Senator!” I reached out to steady him. He pulled a roll of Tums out of his coat pocket, but his hands were so unsteady that he fumbled to open the package. “Here, let me help you.” I used my thumbnail to slit the wrapper, and two antacid tablets fell into his palm. It was close to six. Lunch had been hours ago, and I didn’t like the greenish tinge of his coloring. “Are you going to be okay? Do you want me to get help?” We’d reached the curve, the midpoint between the two buildings. The tram at the far end was empty of passengers and the operator. “I’ll be fine.” He puffed past me. His right hand slapped against the wall, his knees buckled, and he pitched forward. 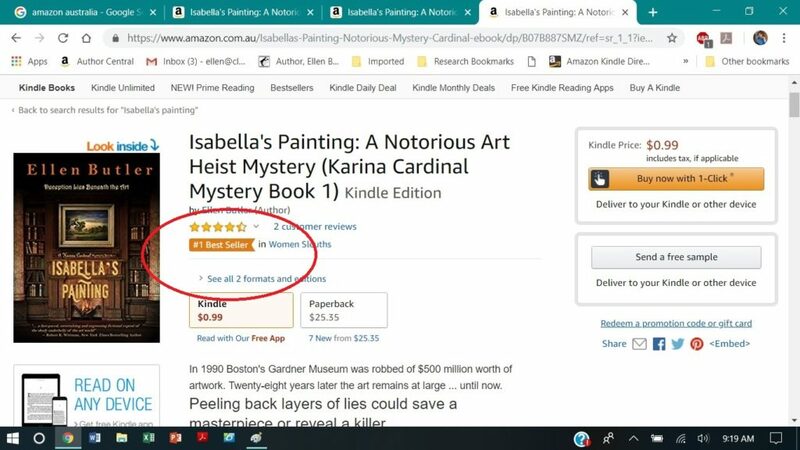 Posted on August 14, 2018 | Comments Off on Cover Reveal Time! D.C. lobbyist, Karina Cardinal, is pounding her Capitol beat when a Senator dies in her arms. 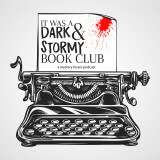 What seems like a common heart attack turns sinister when the coroner determines this death was no accident, and Karina makes the FBI’s suspect list. 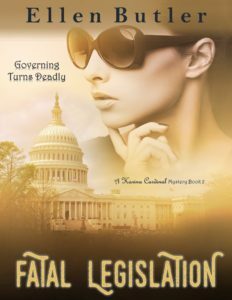 Meanwhile, Karina follows her own theory for the Senator’s death and chases a lead that puts her in the killer’s crosshairs. Comments Off on Cover Reveal Time! Comments Off on Giveaway Time! 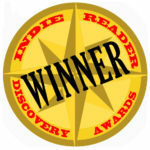 Robin Cutler, Director of IngramSpark, announced the 2018 IndieReader Discover Award (IRDA) winners on Saturday, June 2 at Book Expo America BookCon Event at the Javits Center in New York City. 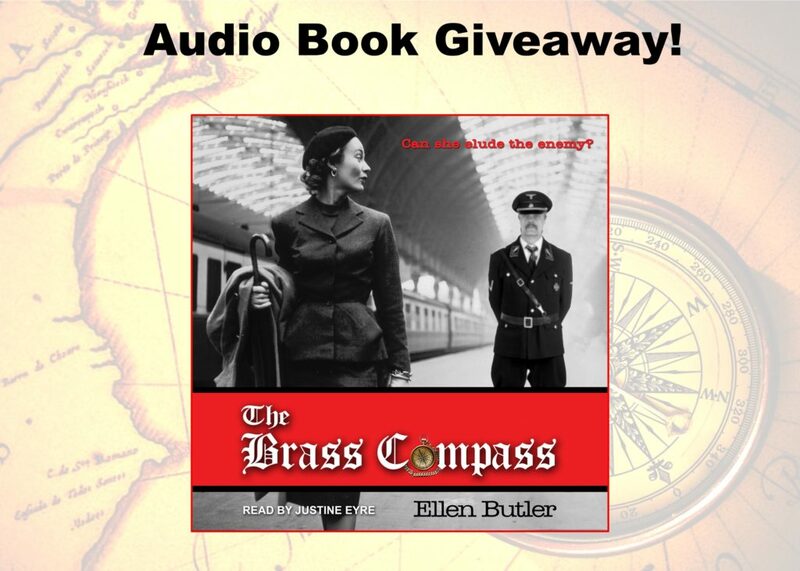 THE BRASS COMPASS by bestselling author, Ellen Butler, won in the historical fiction category. Ellen’s romantic suspense about a District Attorney, who has a break-down and drops everything to move to a small town USA to find a tranquil life, has returned to print. You can get your copy at Amazon and Barnes & Noble today! Former District Attorney, Cara Baker, cuts ties with her tumultuous life in Pittsburgh and moves to South Carolina where she embraces the peaceful, laid-back style of small town living. Everything seems to be falling into place when Cara finds the perfect house to round out her plans. Well… perfect except for the immovable hermit living on the top floor. Throwing caution to the wind, she buys the fabulous house—hermit and all—without meeting him. By wooing her reclusive renter with notes and mouth-watering meals, he caves and invites her up to the apartment. Preconceived notions are blown out of the water when she finds Danny isn’t the nerdy Mr. Mole she envisioned. Unfortunately, phone calls from the FBI bring Cara’s summer idyll to an abrupt halt. Will demons from a former life destroy Cara’s tranquility? What follows is a work that knows what it wants to be and nicely achieves it. What feels initially like a straightforward romance becomes more interesting when the past intrudes, raising the stakes. 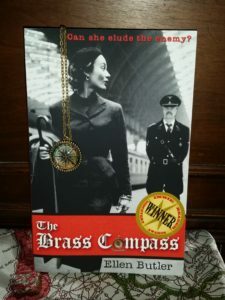 Plot,character and setting are each well imagined and nicely executed in a story that moves at a page-turning clip. Ellen Butler has created a great romantic story! 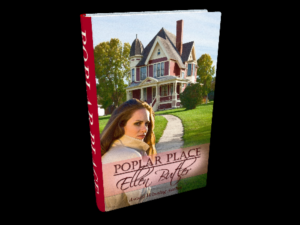 Poplar Place was a wonderful mix of elements; a little mystery with a little romance and the perfect length to finish quickly. Poplar Place provides a great romantic escape from our everyday lives, even if it’s just a visit.